Every Secret Thing starring Dakota Fanning: Where's the trailer? That's the epigram that precedes Every Secret Thing. Have you read it? 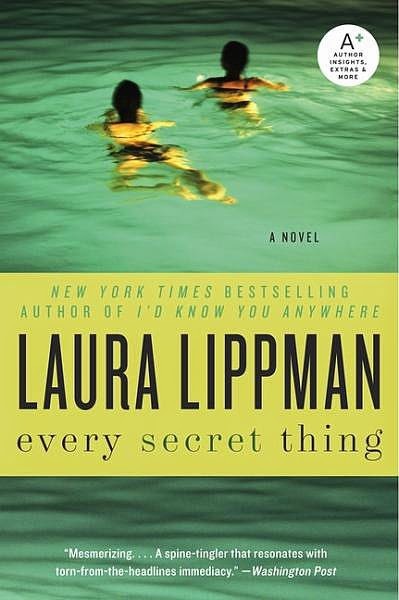 The Laura Lippman novel sounds like it's amazing, dark and gripping. It's also quite the female driven project starring Dakota Fanning, Diane Lane, Elizabeth Banks and Danielle MacDonald which warrants a YAY! even if the reviews are, sorry to break it to you, mixed. Frances McDormand makes her debut as a producer, she's being credited with loving the book and getting it optioned. Nicole Holofcener (Enough Said, Friends with Money) wrote the script. Amy Berg best known for her documentary Deliver us from Evil makes her narrative feature film directorial debut; production designer Molly Hughes work will also be seen in next month's The Fault in Our Stars. Here's links to reviews from IndieWire and Variety; they're not pretty:( I'd love to share the trailer with you but I can't find one! There's no poster either so I suspect they rushed to get it into Tribeca where it debuted last month. With this engrossing mystery/suspense stand-alone novel, Lippman, winner of the Edgar, Shamus and Agatha awards for her series featuring likable heroine Tess Monaghan (Baltimore Blues; Charm City; The Last Place) solidifies her position in the upper tier of today's suspense novelists. Two 11-year-old children-good girl Alice Manning and bad girl Ronnie Fuller-wander homeward in Baltimore after being kicked out of a friend's pool party. They discover a baby in an unattended carriage by the front door of a house and steal it away. The reader watches in horror, knowing what will come next. The baby dies, and Alice and Ronnie are imprisoned for seven years. The mystery involves which girl did the killing, and which was the dupe. After release from prison, their blighted lives move inexorably toward further horror and tragedy. Lippman slowly relinquishes the facts of her story, building suspense as she reveals the past. Her well-honed prose is particularly suited to descriptions that impart more than just appearances: "Holly was one of those people who seemed to be put together with higher quality parts than everyone else"; "...there was something menacing in the very fineness of his bones, as if a bigger boy had been boiled down until all that remained was this concentrated bit of rage and bile." With this book, much darker than any in her past series, Lippman shows she is an author willing to take risks in both writing and storytelling. Her deft handling of this disturbing material is sure to increase the breadth of her readership. 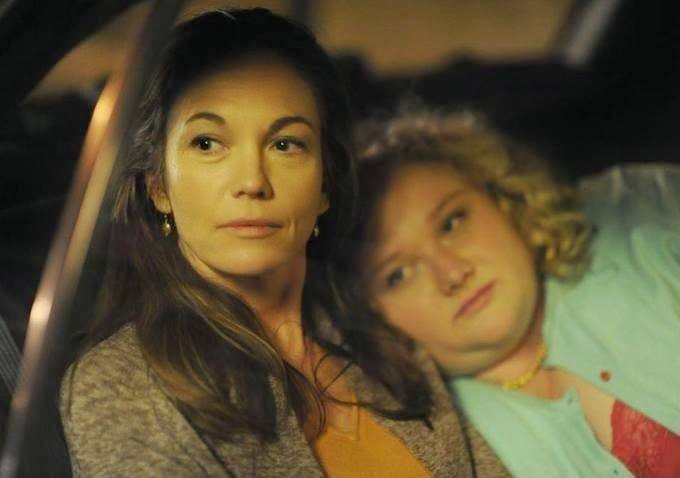 Fanning plays Ronnie, McDonald plays Alice with Diane Lane playing her mother. Elizabeth Banks is a detective involved with the case. While the movie debuted in April at Tribeca it's not clear when and where the film will be released around the country. Again, I'd love to post a trailer here but I can't find one! Is it hidden somewhere like an easter egg in a video game? If you know where to point me, please do.